Amidst an unprecedented heatwave in the UK, we made our way to cooler climes for the summer. Of all the countries I’ve visited, the Scandinavian nations are by far and away my favourite. 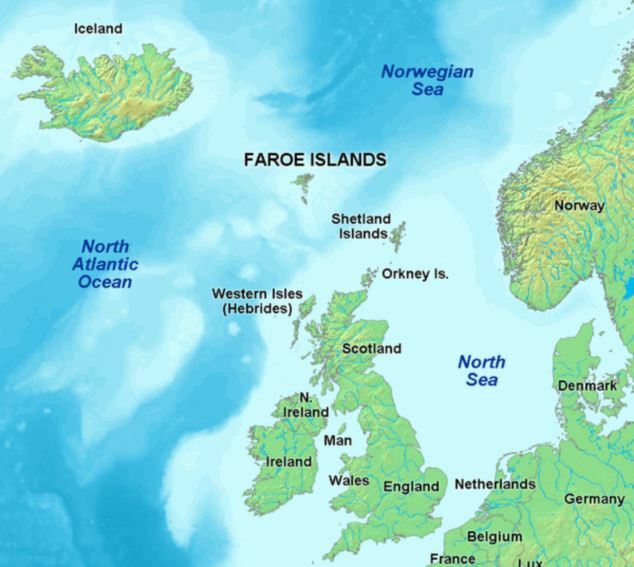 I’m a fan of colder climates and having already visited Sweden, Norway, Iceland and Denmark; the somewhat obscure allure of the Faroe Islands seemed to be the sensible choice for my next destination. Before booking the trip, all I knew of the Faroe Islands was; that they have a smaller human population than they do sheep population, they have an appetite for large sea-based mammals and that they are the infamous achilles heel of Scotland’s international competition qualifying campaigns. The Faroe Islands have also become synonymous with many professional photographers for their dramatic and unspoilt landscapes. We stayed in an Air BnB in the Faroe Islands’ capital – Torshavn, one of the worlds smallest capital cities. Due to their isolation in the middle of the North Atlantic, the Faroese government subsidises helicopter travel between the islands with 20 minute trips costing just 215 dkk – less than £25. This was an opportunity I couldn’t miss so, I ensured we had a ticket to fly across the islands… unfortunately and not uncommonly, the flight was cancelled due to fog. This as I would find out, would also be the case for the helicopter I had rebooked that would see us arrive at the airport in short time for our return flight to Copenhagen. It was disappointing to miss this opportunity to see the island from above but allowed us a bit more time to explore the islands in our hire car, starting with the 3 cascade waterfall – Fossa. Villages in the Faroe Islands are so isolated, some of them without electricity and with the only access being from the sea. Mainly these properties are used as summer homes. I wonder if I could live here. Following our trip to Saksun, famed for its charming grass roofed houses, we made our way to Sorvagvatn, near Vagar airport. This is the islands’ largest lake and its proximity to the atlantic ocean makes for some really interesting photos. The following day we had a trip booked to the Vestmanna bird cliffs. This trip would have been great for keen birdwatchers with a wide array of species flocking to the area, including the famed puffins that are synonymous with this area of the globe. We saw many birds, but they were just too small and quick for me to photograph – especially the puffins who have a very rapid wing dash. Having recovered from the slightly rough seas we made our way to Gásadalur, a small town featuring its much Instagrammed waterfall that plummets into the sea. Despite the stunning views a local border collie stole the show, insisting that we throw rocks for him to fetch! Even Nadine who is scared shitless of dogs played with him while I took photos. Nadine’s throwing technique definitely needs some work. Next we road tripped to Gjogv and wandered around the small isolated village. Absolutely loved reading it! Those isolated villages sound and look very dreamy. I’ve been wanting to go to Faroe Islands for a while.